Accepting your disability and how it has increasingly affected both your financial and personal quality of daily life can be devastating, especially if your ability to support yourself is quickly diminishing. Even though your employer has made allowances and remained dedicated to easing your daily responsibilities to the best of his or her ability, it may be time to apply for Social Security Disability Insurance (SSDI) benefits. You are aware that keeping up with your tasks is becoming harder and harder with each passing day, realizing that one day soon your adult diabetes will render it impossible to maintain viable employment. Although you are not relishing the loss of employment or filing for SSDI, take comfort that you are among the estimated 1.8 million fellow Texans who are also suffering with this medical condition. 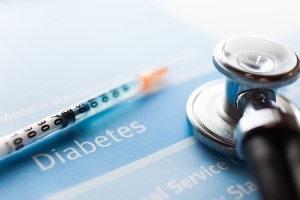 For those battling diabetes, the Social Security Administration (SSA) does approve this diagnosis as a qualifying medical event under adult endocrine disorders. Although this may appear that you may be on the fast track to collecting benefits, making application with the SSA can prove daunting. Are you familiar with diabetes and what is your experience in this area? What may be the positives of my case resulting in a successful determination? What may be the challenges of my case rendering the need to file an appeal? Do you have any additional training in Social Security Disability law? Does your practice have a specific protocol for dealing with Social Security cases? Can you give me an approximate time line from beginning to case resolution? What is the protocol for filing an appeal if my case is initially denied? What is your availability? Will I be able to reach you directly if needed? Will my case be handled by you personally or by an associate? Who else in the practice will be available to address any questions? Who will be responsible for keeping me informed about case progress? Can you provide me with a cost estimate? You need not make an immediate decision. Take time to consider how your prospective attorney answered the questions. Your choice should reflect the type of legal counsel you want to represent you during this critical venture. If you were satisfied with the attorney’s manner and answers to your questions, then trust your instinct and move forward with filing your SSDI application with their assistance. If you would like to schedule a meeting to discuss your case with a qualified Austin SSDI attorney, contact The Law Offices of Bemis, Roach & Reed. As leading SSDI attorneys we understand the complexities of diabetes as well your legal rights to obtain the benefits you deserve. Contact us today at 512-454-4000 to schedule your consultation. We will be happy to answer all of your SSDI questions.